Samantha Vaughan of SSV Photography tells us about taking the plunge from secure employment to starting a photographic business. From their base in Bicester, Oxfordshire, Samantha and Steve of SSV Photography is a husband and wife team that offers wedding, event and reportage photography in the Oxfordshire, Buckinghamshire, Northamptonshire and Warwickshire area. Samantha tells us their approach to weddings is simple. They never forget that they are there to record the event, not to BE the event! Their style is reportage; by this we mean they provide a record of the day for the wedding couple and their guests to keep and remember for the future. They try not to orchestrate the day, and avoid moving the wedding guests around and keeping them waiting unnecessarily. They mix informal and formal photographs, with as much individual style and personal flair as the wedding couple wish for. What started this business venture all off? We hear in this 45 second clip what first present Steve brought Sam. Presenter Joy McCarthy asks the question of being nervous on event photo shoots This 1:09 second clip we hear the answer. 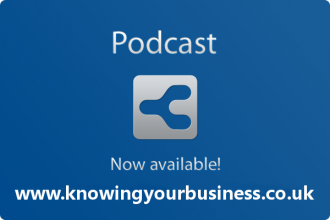 This weeks Knowing Your Business show was presented by Ian Gentles and guest presenter Joy McCarthy.